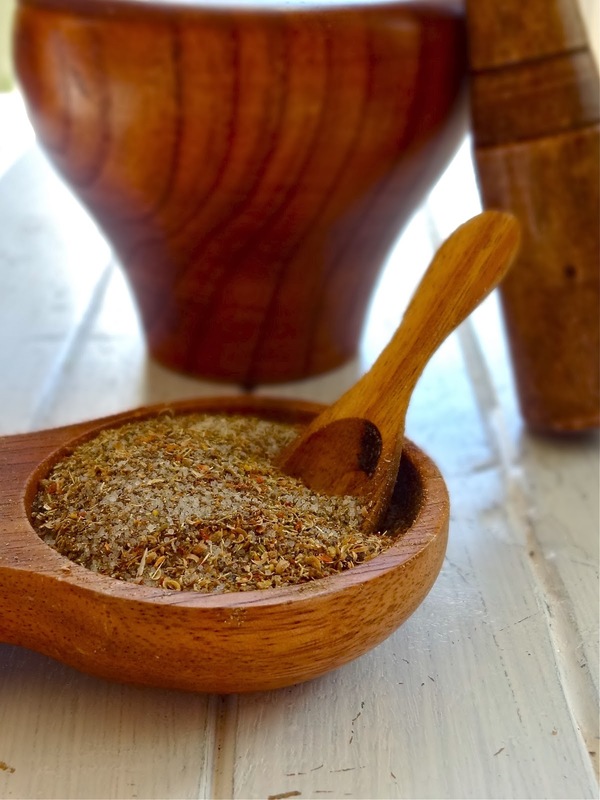 This seasoning mix using four ingredients only and can be used for seafood or meat, Just simply rub on the fish or meat before cooking, I use mortal and pestle to grind these spices or use coffee grinder if you have it for smoother powder. mix with the rest ingredients and grind in the mortal. transfer into container,and keep in dry place. 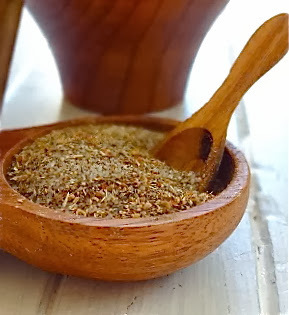 I use lots of spices and this is another must try. It will be perfect for savory dishes, in fact almost anything for the spicy punch. I always love the aroma of coriander. This is a perfect rub recipe for some cod I bought yesterday. Never try to made corriander salt, tempting to try! Sounds really good. I have all these on hand . Will make it this weekend.